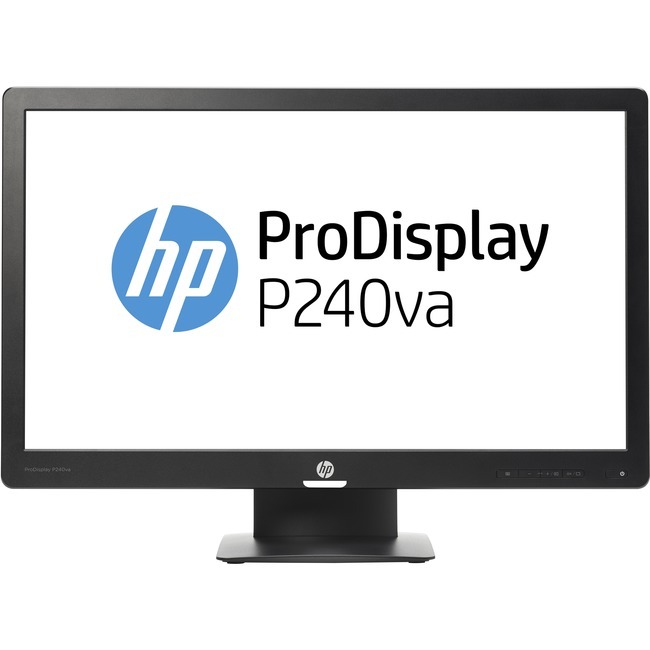 ManufacturerHP Inc.Manufacturer Part NumberN3H14A8#ABAManufacturer Website Addresshttp://www.hp.comBrand NameHPProduct LineBusinessProduct SeriesProProduct ModelP240vaProduct NameProDisplay P240va 23.8-inch MonitorMarketing InformationGive your HP Pro PC content room to roam on the extra-large HP ProDisplay P240va Monitor, a sleek display that delivers essential presentation features and advanced connectivity for your everyday business productivity needs at a highly affordable price point. Get crisp image clarity for all your content on the 23.8-inch diagonal screen with 1920 x 1080 resolution, and 3000:1 contrast ratio. 178-degree viewing angles mean everybody has a great view of the screen. Experience stunning FHD picture quality, ultra-fast graphics refresh, and vivid colors from the DisplayPort connection, which also supports multiple monitor connections from a single PC. Get expanded device compatibility from VGA and HDMI. Customize a total solution with options5 designed for your display. Rest assured that your IT investment is supported by a three-year standard limited warranty, and has a stable product lifecycle and minimum one-year lifespan. Add HP Care Packs to extend your protection beyond the standard limited warranties.